The Freshman FA1DSBS dreadnought acoustic guitar, part of the Maple Ridge series, has a solid Sitka Spruce top and Mahogany back and sides. 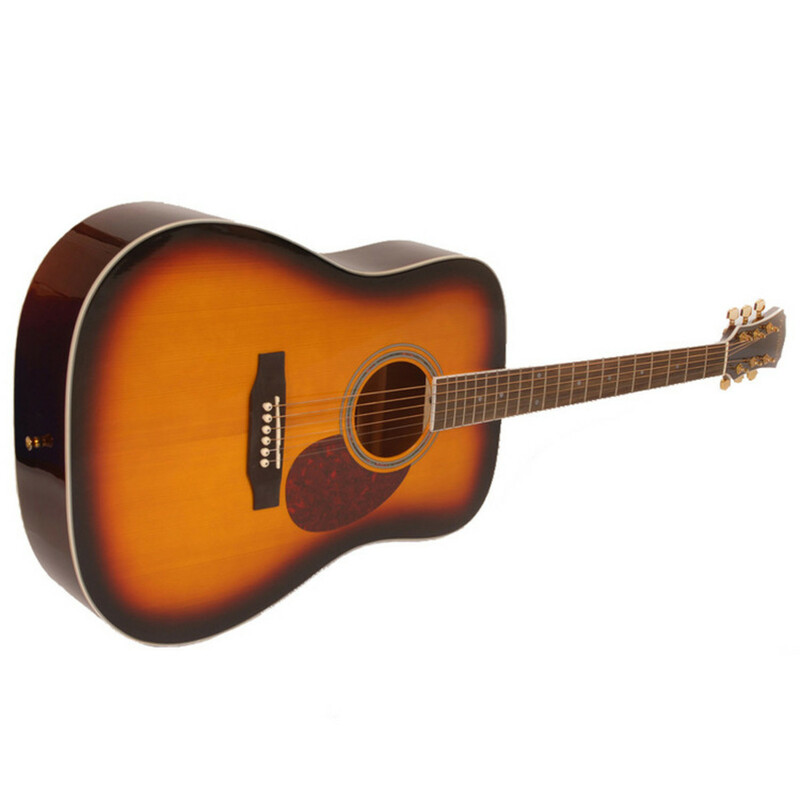 The traditional dreadnought body shape offers power and clarity of tone, while the sunburst gloss finish looks great wherever you play. 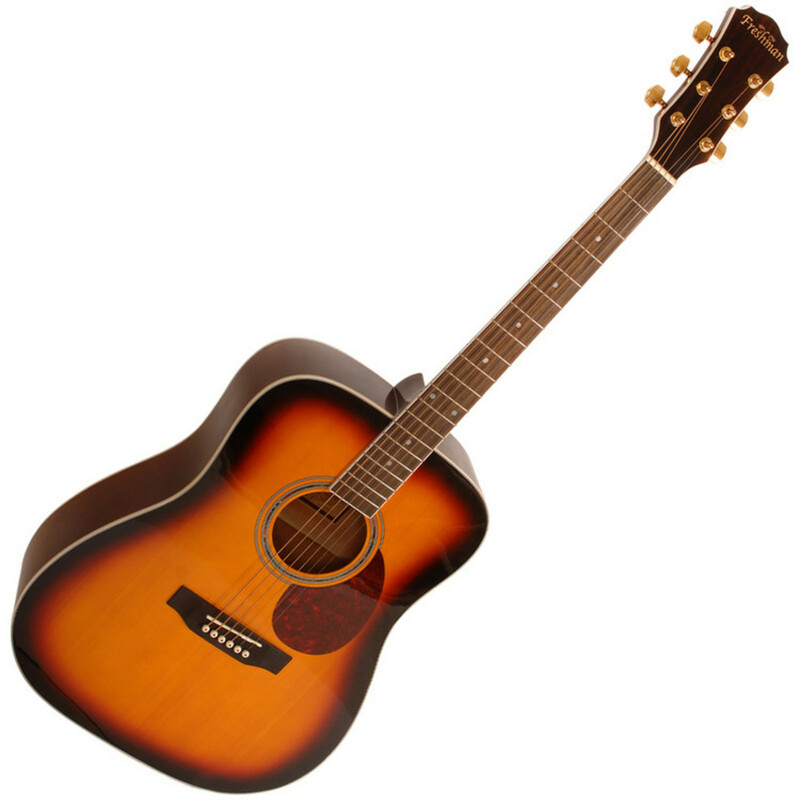 The Maple Ridge series of guitars is designed to fit a smaller budget without sacrificing quality. 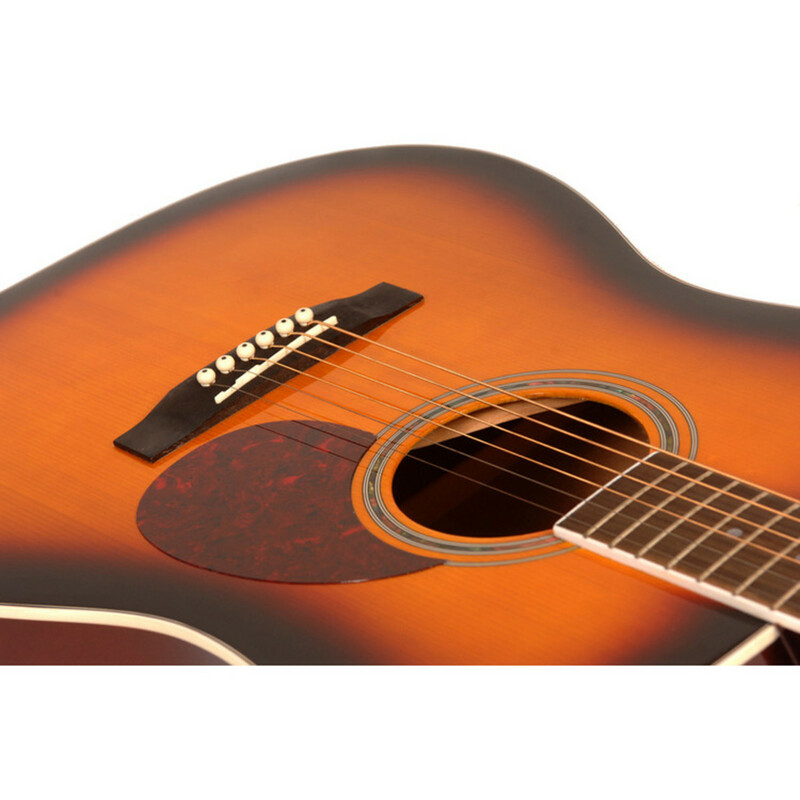 Ideal for beginners, these guitars are also tough enough to stand up to years of gigging.